No more Simpsons! Meet Bobby Baloney whose body is just as good - if not better - to learn about body parts. This worksheet comes with a word bank which can be d to make it more challenging. Enjoy. 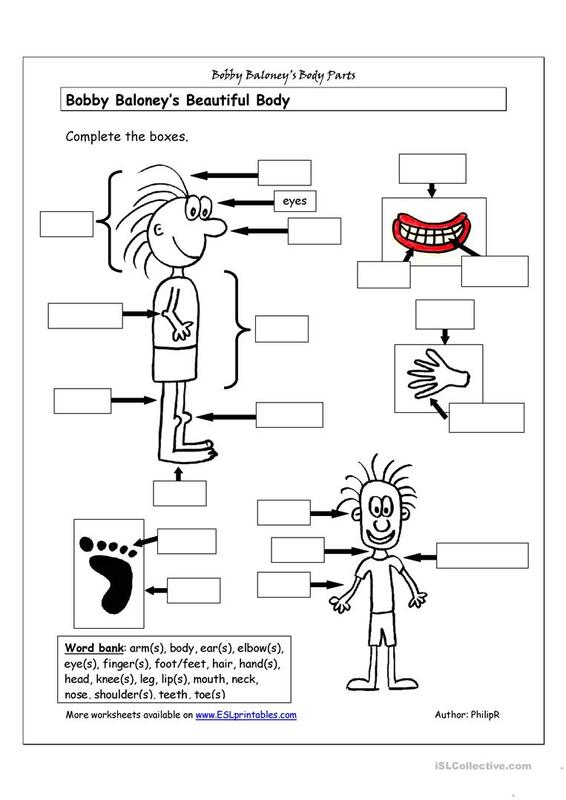 This downloadable printable is meant for high school students and elementary school students at Elementary (A1) and Pre-intermediate (A2) level. It is excellent for developing your class' Writing skills. It is about the vocabulary topic of Body.